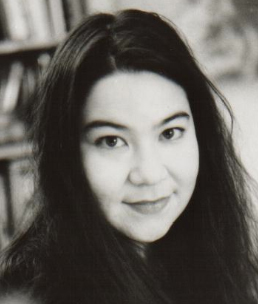 Brenda Shaughnessy is a poet and editor. Her most recent book, Human Dark With Sugar (Copper Canyon, 2008), won the James Laughlin Award from the Academy of American Poets and was a finalist for the National Book Critics Circle Award. Her first book, Interior With Sudden Joy (FSG, 1999) was a finalist for the Lambda Award, Norma Farber Award, and the PEN/Joyce C. Osterweil Award. She is the poetry editor of Tin House Magazine, has been a Radcliffe Institute Fellow and a Japan-US Friendship Commission fellow. She has taught at Princeton, NYU, and the New School and is a member of the faculty of the Rutgers Newark English Department/MFA Program.